Here is a great blog post on depression. Very powerful to learn about how one of the greatest and most successful preachers in history also struggled with depression. Thanks for sharing this @Sch0larly! 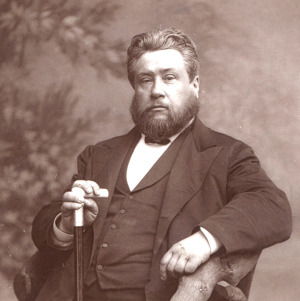 Charles Haddon Spurgeon (1834-1892) hit the headlines young and never left them. He could quote whole sections of the New Testament from memory. He had a library of 10,000 books and had read them all. In his teens he could understand deep theological points that confused many adults. At only 19 years of age, he was invited to pastor a respected Baptist church in London. Large crowds came to hear him. His biblical prowess was obvious but his style unorthodox, his sermons more like stories. He quoted from the newspapers and took everyday situations, making spiritual points out of them, so that anyone could understand his message. He became a sensation, becoming known as ‘the Prince of Preachers’. This entry was posted in Regular Posts on December 1, 2014 by revkamcclain.